This cask-aged balsamic vinegar from Modena, Italy, is made from acetified grape must matured using the Solera method of blending, transferring the vinegar between a succession of high quality barrels of different sizes. A several year refinement process in high quality wood results in a rich and assertive condiment with a warm brown color and a thick, fluid consistency. The aroma is penetrating and persistent. 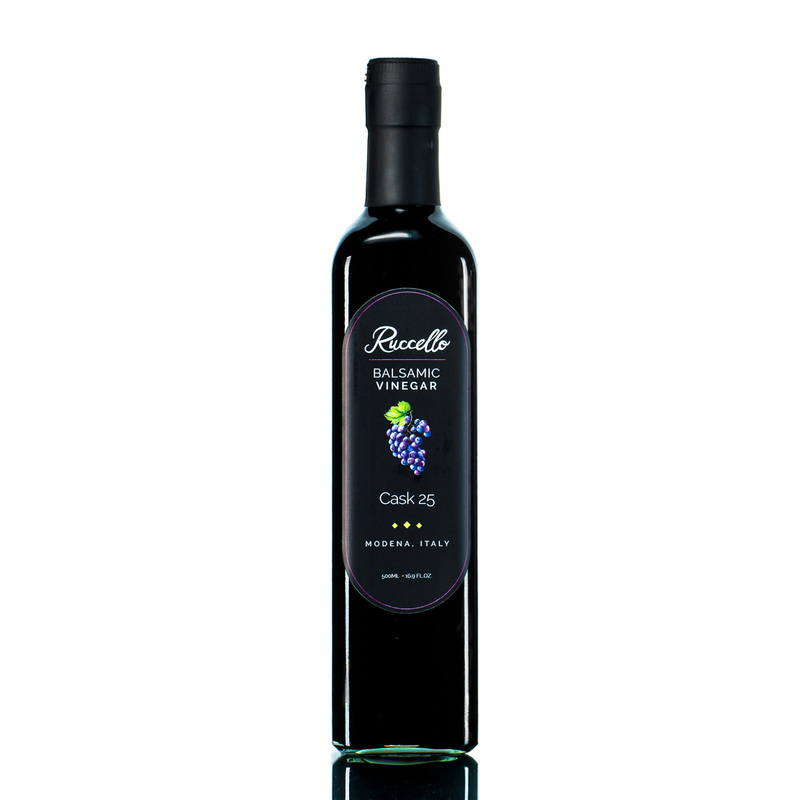 With port and Madeira undertones, it is a classic balsamic taste. We call it Cask 25 to give people in the United States a sense of the age of the vinegar. You will be able to taste and feel the difference between an aged vinegar and the cheap substitutes made by adding caramel or other products. 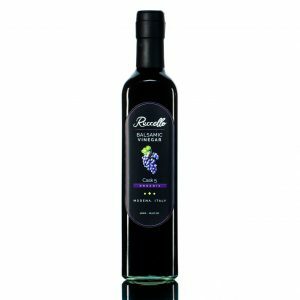 This balsamic is produced by combining balsamic vinegar with artisanal Italian honey and reducing the blend over open-air fire.